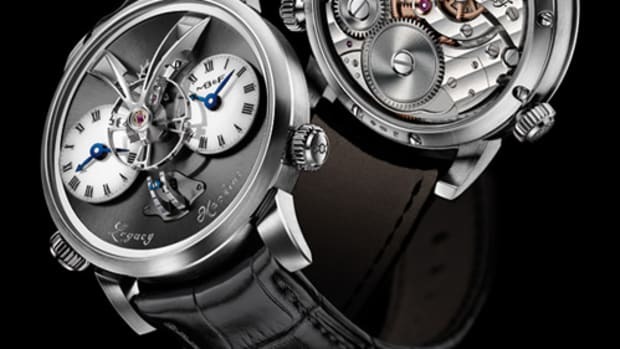 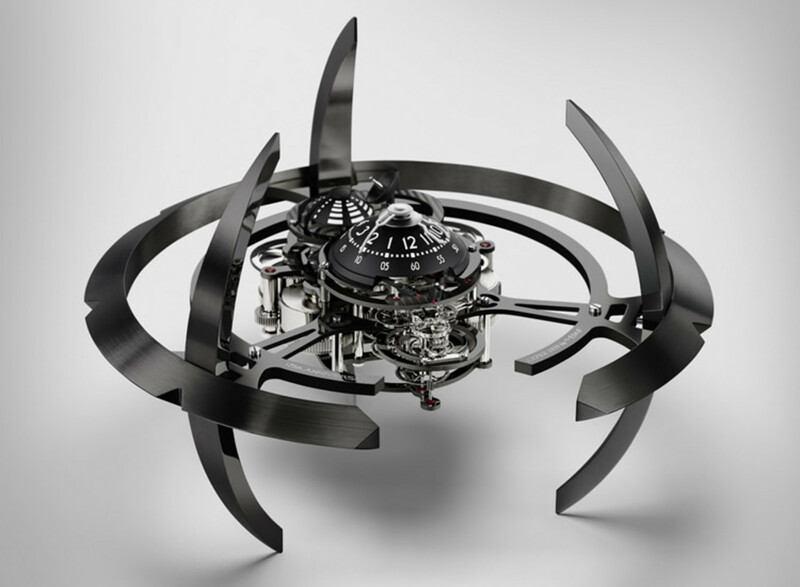 MB&F has quite the talent for building show stopping pieces and their latest invention might just top them all. 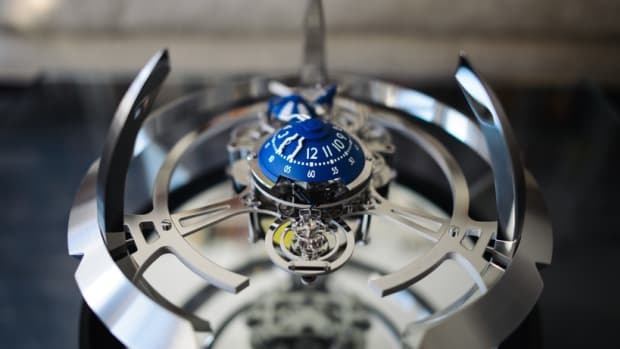 Built by watch and clock manufacturer L&apos;Epée in Switzerland, the Starfleet Machine is spaceship-shaped stainless steel sculpture that surrounds a highly-sophisticated "engine" that features hours, minutes, double retrograde seconds, and a power reserve of 40 days. 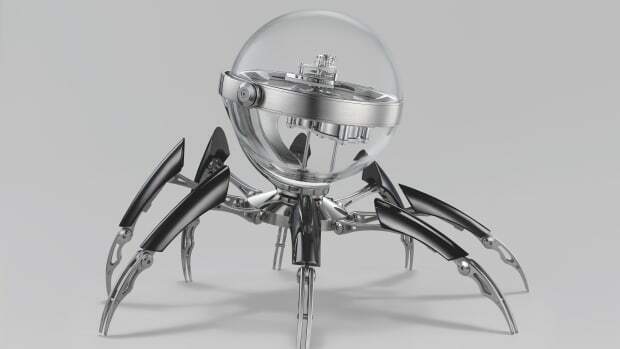 A new piece for your supervillain lair.